No one can ignore the shrill scream of a fire alarm at work. It signifies danger and lets everyone on your premises know that they should make their way to safety. So, fire alarms save lives. The question is….will yours? As the responsible person, you are legally obliged to ensure that fire alarms are installed at your premises to British Standard BS 5839. All our fire alarms meet this standard, keeping you legally compliant and giving you the reassurance of knowing that should the worst happen, your system will identify danger, raise the alarm and help to save lives. 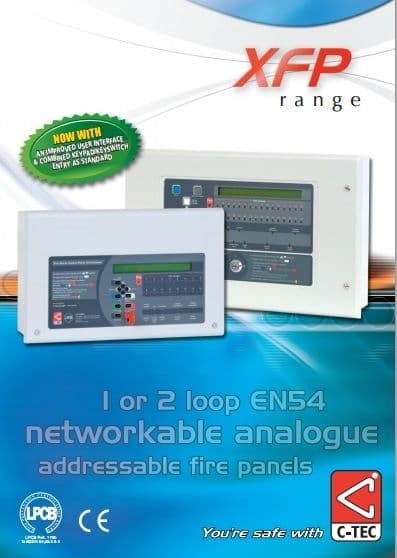 Fire Safety Solutions NI offer expert installation and servicing of fire alarms to businesses in Northern Ireland. We cover all areas in NI including Bangor, Newtownards, Lisburn, Lurgan, Portadown, Newry, Ballymena, Banbridge and Belfast. Our experienced Electrical Engineers fully understand the various Fire Alarm systems available, so we can select the right one for your needs and your budget. We’ll service or install your system at a time convenient to you, including late nights and/or weekends, so there’s minimal disruption to your workplace. Our pricing structure is competitive and we will always agree a price prior to installation/service. It’s cheaper than you think – our Fire Alarm Service costs from only £49 per visit.